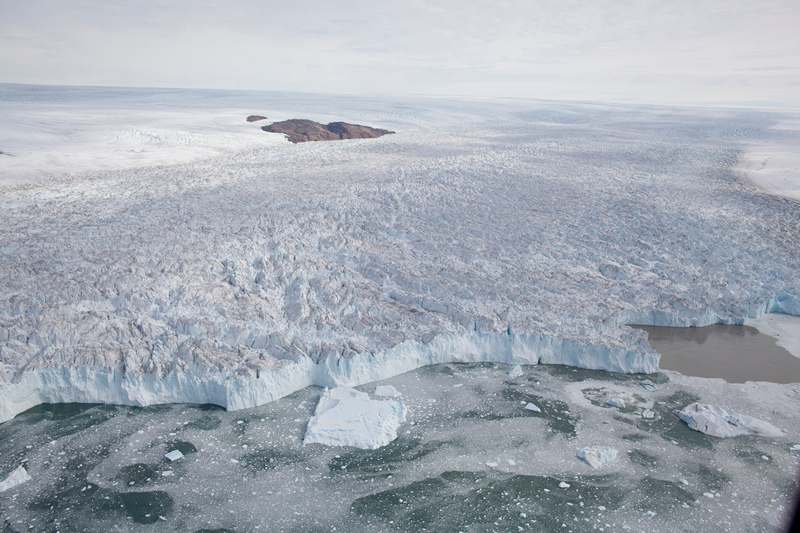 Despite the current and rapid melting of the Greenland Ice Sheet, it remains far from certain just when we will have reached a point when scientists will be able to predict its disappearance. Recent research conducted by the University of Copenhagen in conjunction with the Technical University of Denmark (DTU) and the Danish National Survey and Cadastre (KMS) and Aarhus University in collaboration with an international team of scientists reports that this is not the first time in recent history that the ice sheet has been in retreat and then stabilised again. The researchers’ results have just been published in Science, the renowned American scientific journal. "That air temperatures have increased and melting has intensified is relatively well-understood. 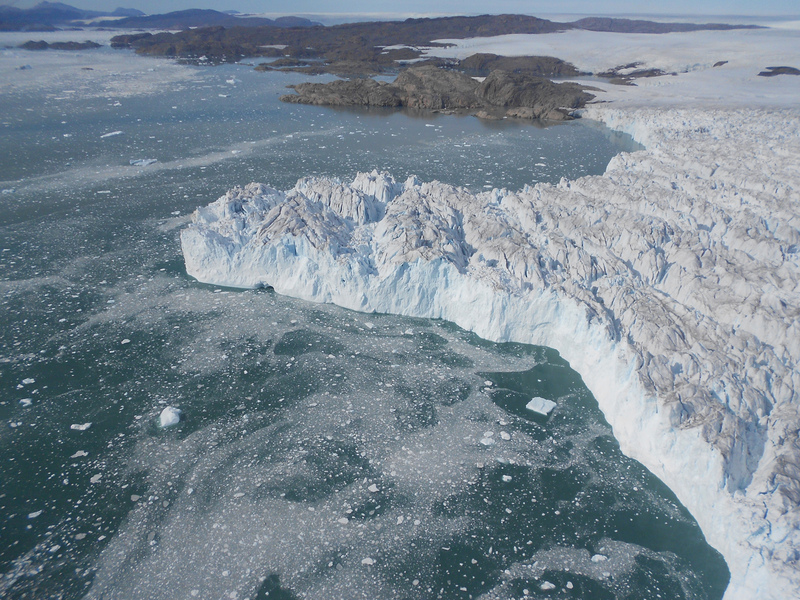 On the other hand, the UN’s climate panel, the IPCC, has for many years called for greater knowledge in relation to the other major effect on the Greenland Ice Sheet - the 'thinning of the ice sheet' which is the effect of the largest glaciers in Greenland flowing faster into the ocean than previously measured. Over the past three years a number of scientific articles have addressed the issue and pointed to a sea-level rise of one metre or more. These reports presuppose that the melting will accelerate to the same degree as during the past decade. This is a question to which we have been able to provide a qualified answer. It turns out that the ice sheet, in relation to this point, behaves more dynamically and is able to more quickly stabilise itself in comparison to what many other models and computer calculations otherwise predict." 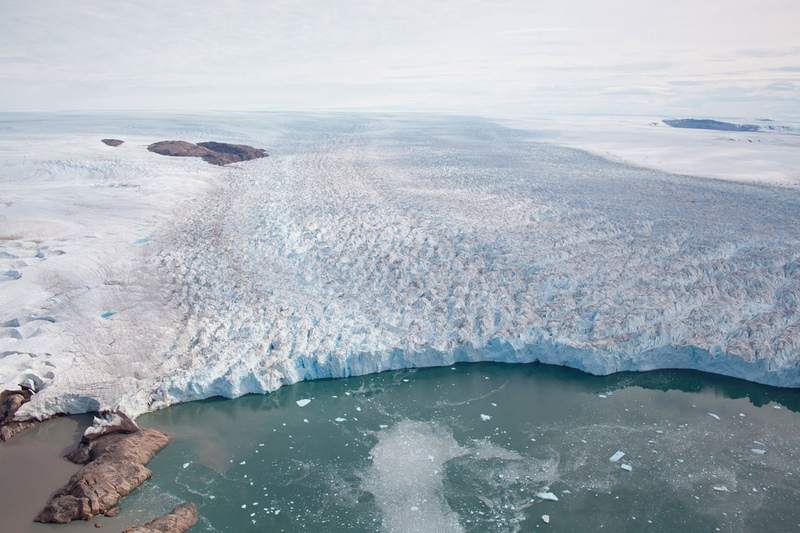 No less than 240 billion tons of fresh water escape their solid state within the Greenland Ice Sheet and runoff or discharge as icebergs into the world’s oceans each year. This amount corresponds to a 5.6 meter annual rise in water level if distributed over the surface area of Denmark, an area of approximately 43,000 km2. Current melting attributable to global warming is so great that some experts warn that we are headed towards an irreversible “tipping point” - a point at which the global climate is permanently transformed, a point at which low-lying cities and coastal zones around the world will be seriously threatened in 100 years time. 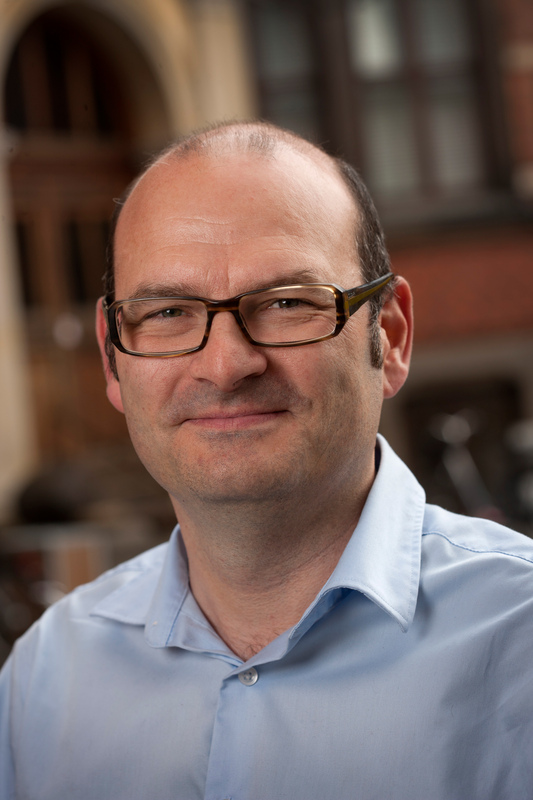 As recently as one year ago this scenario was presented in Copenhagen at a scientific conference organised by the Arctic Council, the University of Copenhagen and Aarhus University, a conference involving over 400 climate researchers from 20 countries. 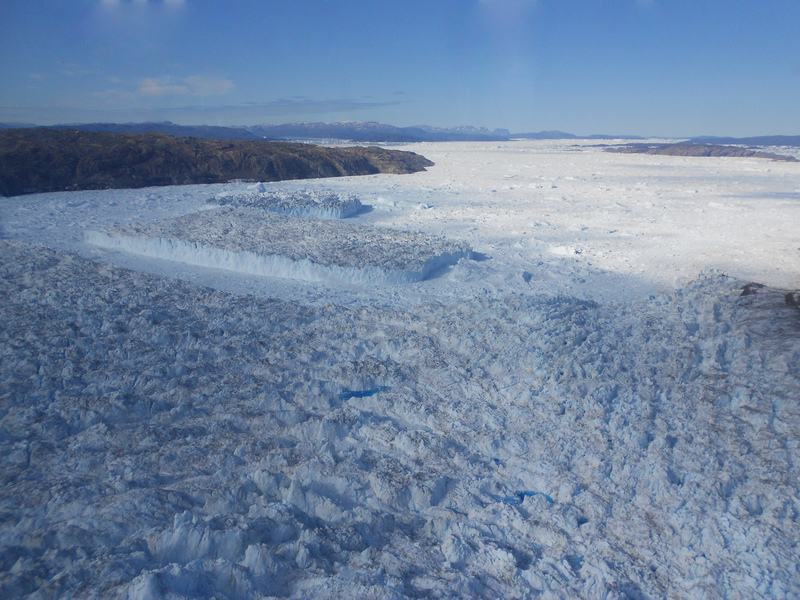 Among the somber tones and gloomier outlooks, the recent research findings out of the University of Copenhagen and the Technical University of Denmark (DTU) in conjunction with an international team of researchers, show that the Greenland Ice Sheet is more robust than researchers have otherwise been able to predict using models and computer-based calculations. 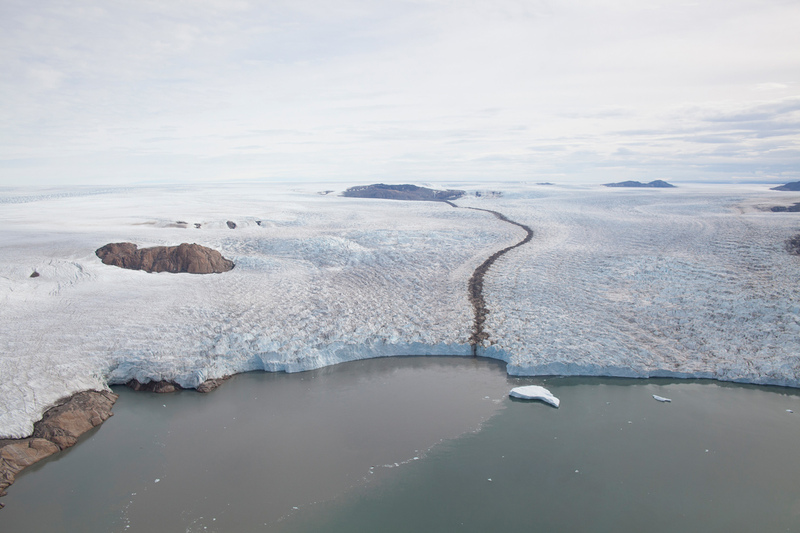 The new research findings were obtained by combining contemporary satellite data with old aerial photographs of the ice sheet in northwestern Greenland, one of two hotspots for ice sheet thinning and heavy glacial melt runoff. "We’ve used a combination of old aerial photographs from the 80’s to construct a digital elevation map and recent satellite data. In this way we’ve been able to gain an overview of the thinning of the ice sheet over the last 30 years in northwestern Greenland. We are the first who have been able to show that the Greenland Ice Sheet was on as a dramatic diet at the end of the 80’s as it is today. On the positive side our results show that despite a significant thinning in peripheral regions from 1985-1992; the thinning slowed and then died out." Associate Professor Kurt H. Kjær of the University of Copenhagen had the idea to create new and comparable elevation models of the ice sheet along a 700 km long stretch of the northwestern Greenland coast using the old photos. This provided researchers with a relatively simple way of revealing more of the ice sheet’s secrets in comparison to other new methods. "Our results show that the thinning of the ice sheet at the end of the 80’s and beginning of the 90’s eased over a 4-8 year period, after which a period of stability occurred until 2003. Our conclusion is therefore, that if we judged against longer periods of time, the current thinning of the ice sheet is likely to ease within an 8-year period." "These variations in the amount of thinning that we are able to document since the 80’s make it difficult to predict how much the world’s oceans will rise over a longer period of time - a century for instance - as a result of Greenland glacial melt-water runoff. However, it is certain that many of the present calculations and computer models of ice sheet conditions that built upon a short range of years since 2000 must be reassessed. It is too early to proclaim the 'ice sheet’s future doom' and subsequent contribution to serious water problems for the world. In this context it should be mentioned that the Greenland bedrock rises as the ice sheet in the peripheral regions and especially near the coast is in retreat and becoming thinner. 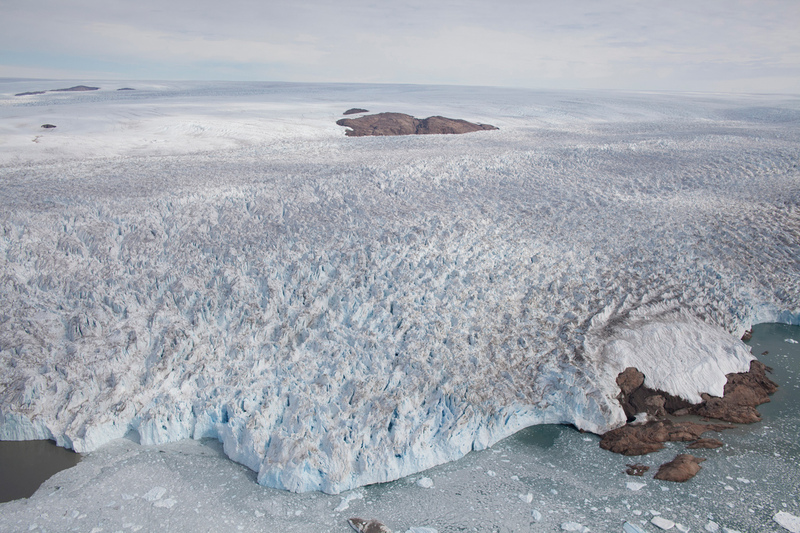 This highlights the enormous forces that are at play in Greenland and of how difficult it is to predict what it means for Greenland as well as the rest of the world,” says Associate Professor Kurt H. Kjær of the Natural History Museum of Denmark, University of Copenhagen. Credit: Niels J. Korsgaard, Natural History Museum of Denmark. Click on the individual photographs to see and download them in high resolution. The press is free to use photographs and video material. Please credit photos and video accordingly.